YOUNG, JOHN, merchant, author, and politician; b. 1 Sept. 1773 in Falkirk, Scotland, son of William Young, a merchant, and Janet —; m. Agnes Renny, and they had nine children, three of whom survived to adulthood; d. 6 Oct. 1837 in Halifax. Around 1790 John Young entered the University of Glasgow, where he performed brilliantly in the theological course but did not graduate. Although he wished to study medicine, his father, who had hoped that he would become a Presbyterian minister, refused him further support. The young man then engaged in business at Falkirk and later at Glasgow, with no particular success. It is likely that Young decided to emigrate to Nova Scotia because he was impressed with the commercial prosperity engendered by the War of 1812. On 30 April 1814 he arrived at Halifax with his wife and four sons, and immediately turned his attention to the disposal of a large stock of dry goods he had brought with him. Shortly thereafter he began a business under the name of John Young and Company. In September, British forces took Castine (Maine), and the customs office they established there allowed trade to be resumed between the Maritime provinces and New England. Seeing the opportunity, Young went to Castine, and during the eight months of British occupation he carried on “a thriving trade both legally and illegally.” His son William*, who was barely 15, was his agent in Halifax, responsible for shipping the British goods imported by the firm to Castine, where Young was assisted by another son, 12-year-old George Renny*. The profits from Castine were used to develop the business at Halifax, but Young intimated to William that he would move to the United States if prospects were good. Indeed, just after the war William was his agent in New York for a brief period. Young’s correspondence during this period reveals a shrewd business mind preoccupied with success. His outlook is demonstrated in a letter to William, whom he advised to give the appearance of liberality, to be accurate in transactions, to study the characters of people in order to make the best bargains, and to “exercise a rigid economy.” Young was pleased with his sons’ developing commercial sense, and both continued in business for several years. Their letters show the family to be close-knit and affectionate. The need to improve provincial agriculture impressed itself on Young. He had come to Nova Scotia with limited practical experience in farming through his work for Sir John Sinclair, a pioneer in Scottish agricultural reform, and he seems to have had a sound theoretical knowledge, apparently based on Sir Humphry Davy’s Elements of agricultural chemistry (London, 1813) and Antoine-Laurent Lavoisier’s Traité élémentaire de chimie (Paris, 1789). His comparison of the low state of farming in Nova Scotia with the excellence of Scottish agriculture, which one 20th century commentator has described as “the most skilful . . . to be found anywhere” at the time, persuaded him to take action. He decided to make suggestions for improvement, and on 25 July 1818 he began a series of letters to the Halifax newspaper the Acadian Recorder under the pen-name of Agricola. In his first letter Young suggested that local agricultural societies be formed. The next recommended the establishment of a central board of agriculture, to which the local societies should “look up, as the prime director of their movements, and as the focus of their converging influence and collected energy.” He argued that agricultural societies had done much good elsewhere, and suggested that the proposed societies hold competitions in different categories of farming and award premiums. The fourth letter invited correspondence from “competent farmers,” who were requested to sign their names, give the date and their place of residence, and describe the results of any experiments performed. In subsequent letters Young undertook a discussion of the factors affecting vegetation and tillage, beginning with observations on climate and soil and then reviewing agricultural machines, the clearing of land, and operations such as ploughing and harrowing. Throughout he suggested areas where Nova Scotia practices could be improved, particularly in farm equipment, the state of the land, summer fallow, and crop rotation. He intended to take up also livestock and miscellaneous topics, but by the time the letters stopped in the spring of 1821 even the section on vegetation and tillage had not been completed. A total of 64 letters was written, and 38 were collected in a book published in 1822. It seems likely that the letters of Agricola were prompted not only by the state of agriculture but also by Young’s hope of commercial advancement if with his efforts he obtained the patronage “of the classes of the metropolis who were regarded with respect.” At all events, he evoked considerable enthusiasm. Hundreds responded to his request for letters, and by December 1818 agricultural societies had appeared in four counties. Moreover, Lieutenant Governor Lord Dalhousie [Ramsay], himself a keen farmer, praised his efforts. In correspondence with Agricola, whose identity was as yet unknown, Dalhousie urged him to call a meeting which would draw up a constitution for a provincial agricultural society. At a banquet of the North British Society on 30 Nov. 1818 he toasted Agricola and suggested that an agricultural society be formed in Halifax. At the meeting plans were made to apply to the legislature for a constitution. In March 1819 Dalhousie approved a bill which incorporated the Central Board of Agriculture for seven years, and nine months later the legislature granted the constitution. The board’s duties were to correspond with the county societies, publish useful information on farming, stimulate competition by offering premiums for improvements, and import and distribute livestock, implements, and seeds. In December Young, who had by then revealed his identity, was elected secretary and treasurer by acclamation. The board began operation with high expectations, for besides the several hundred pounds raised by subscriptions to membership, it could draw on the £1,500 the legislature granted in 1819. Young hoped to meet expenses from these sources, and he wished to use £500 of the grant as prizes to individuals who demonstrated in competition that they had excelled in improving the quality of their livestock or produce. As secretary and treasurer, he received a salary of £250 a year, having argued that he had to neglect his own business for the work of the board. Not only did he handle all the board’s correspondence and finances, but he was also responsible for ensuring that contests were held to judge vegetables, flax, seeds, and dairy products, that ploughing matches and livestock shows were in accordance with the board’s regulations, and that premiums were awarded for growing cereals, clearing land, fallowing in summer, fertilizing, and erecting oatmeal mills. The meetings of the directors of the board also required preparation. Members sometimes brought new farm implements; discussions would be held as to their relative merits and a decision on their purchase made. The directors wisely devoted a small part of the board’s private funds to the formation of a library of agricultural works. By 1825, 30 local societies had been formed, 19 in the years 1818 to 1820. Their organization paralleled that of the board, each having a president, vice-president, and secretary, and they accepted the obligation to perform a certain number of experiments each year. Expenses were to be met through subscriptions, and initially the response was very good. Some assistance was granted by the board, such as the cost of maintaining purebred breeding stock over a period of time. Officials of the local societies corresponded regularly with Young and sometimes borrowed money from the board to buy new seed or implements. Despite the promising beginning, interest in agricultural affairs slackened after 1820, although local societies were being formed as late as 1824. One indication of the decline came in November 1822, when it was moved at a board meeting that the implements of husbandry used as models should be sold. A few months later plans were under way to dispose of the stallion imported by the board. Membership in the board dropped steadily, from 235 in 1819 to 79 in 1824. The following year the House of Assembly refused to continue the annual grant to the board which it had made since 1819, and in 1826 it voted down a bill to renew the board’s charter, ending government support of agriculture for the time being. Several local societies collapsed soon afterwards. There were a number of reasons for the failure of the agriculture societies. One of the more important was Young’s inability to carry out his duties as secretary and treasurer efficiently because of his involvement in other activities. His interest in agriculture had not prevented him from seeking to expand his commercial operations, his pious protestations to the contrary. Indeed, as is amply demonstrated in his papers, he had a deeper commitment to business than to agriculture. While working for the board he continued to import and sell dry goods, and he also traded in fish and lumber. Moreover, he tendered to supply manure to the Halifax garrison, and he held a contract for removing ashes from the barracks. 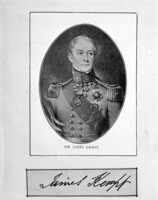 The criticisms that Young encountered as secretary and treasurer came partly as a result of delays in his responses to letters, but there were also occasional expressions of dissatisfaction with his methods of bookkeeping, with delays in the forwarding of supplies, and with a lack of information about competitions. In addition, Young too often failed in his responsibility to import and distribute seeds and livestock. Animals and fruit-trees were frequently dead on arrival at the local societies because Young had not arranged their transport with sufficient care. Seeds were sometimes shipped too late in the season and were not always in good condition. Inferior livestock might be substituted for a higher quality breed already paid for by the local societies. These derelictions of duty cost Young dearly, and during the final years of the board the farmers’ attitude towards him was one of growing disappointment. Requests by local societies for an equal share of the government grant were refused by Young on the grounds that “the independent gentlemen and wealthy merchants” of Halifax were alone competent to handle those funds. Such patronizing only worsened the increasingly poor relationship between Young and the farming population, to whom he occasionally referred as “our Peasantry.” It also gave credence to the charge that he was more interested in promoting himself with the élite of Halifax than in assisting the average farmer. But Young also faced opposition within the board. He was under attack from colleagues such as William Lawson for being both secretary and treasurer and for receiving a salary. The difficulties in acquiring suitable breeding stock and good seeds at reasonable prices and the delays in shipping and in the collection of accounts were all blamed on Young at one time or another. He was responsible for some of the problems, especially the late collection of accounts. There is little doubt, moreover, that he took personal advantage of his position. For example, in 1821 he sent his son William to Boston on behalf of the board to purchase livestock, and then as treasurer approved William’s large bill for expenses. In 1819 he had purchased a farm near Halifax called Willow Park, and persuaded his fellow directors to make it the board’s model farm. He was thus permitted to utilize the board’s seeds, livestock, and implements and could cut his own costs. He also entered produce raised on the farm in competitions and won many prizes, some of which, however, he gave to the board. The assumed superiority in Young’s correspondence with societies was occasionally evident in his articles and added to his difficulties. A major criticism of his writing was that it was often arrogant and didactic. When establishing the rules for correspondents in the fourth Agricola letter, Young described them as constituting “the rampart in which Agricola has entrenched himself, that he may accomplish his scheme without disturbance, and be freed from the annoyance of doltish imbecillity.” Although Young interpreted and explained sources well, his writings were aimed at the educated élite, and he did not express himself in a style the average farmer could follow easily. As a correspondent to the Acadian Recorder complained in 1823, “He never descends from his aerial height, but is always declaiming in the loftiest language of impassioned feeling.” As a result some farmers lost interest in Young’s ideas. Despite the many attacks on Young, he had his share of supporters, who included Dalhousie, Lieutenant Governor Sir James Kempt*, judge William Hersey Otis Haliburton*, and a number of farmers throughout the province. Though Young undoubtedly deserved much of the criticism, it cannot be denied that he drew attention to the strengths and weaknesses of agriculture in Nova Scotia. By 1824 the local societies, while not having realized all of their initial ambitions, were certainly more conscious of the need for improvement in agricultural practices. Young’s columns were not easily read by the average farmer, but correspondence from officers of local societies to Young indicates that they understood his articles and could transfer his knowledge to others. This dissemination of information is what Young hoped to accomplish, and although his writings did not yield the results desired or expected the experiment was certainly worthwhile. The information gathered at all levels was most impressive, and Young made it available to the public. More people were made conscious of the complexity of agriculture and became aware that it was not simply an occupation of the ignorant. Agricola’s writings appeared at a time when Nova Scotians were undergoing what has been described as “an intellectual awakening” and must be seen in that context. The Stepsure letters of Thomas McCulloch began appearing in the Acadian Recorder just as Young’s were ending. In this series of satirical essays McCulloch used his main character, Mephibosheth Stepsure, to extol the virtues of pastoral life, hard work, and frugality, all of which, Young implied, were necessary for success. The demise of the Central Board of Agriculture cannot be made solely the responsibility of Young, though his personality, other preoccupations, and reluctance to allow greater autonomy to the local societies all militated against success. Dalhousie’s involvement was vital to the initial success of the project, for as long as he remained in Nova Scotia he displayed a keen interest in the board and faithfully attended its meetings. Had he remained after 1820 he might have prolonged its existence, but although his successor, Kempt, made his contribution, the first flush of enthusiasm cooled considerably without Dalhousie. Between 1819 and 1826 the Central Board and local societies spent more than £7,000 of public money in addition to what they raised by their own efforts. Some £2,500 was distributed as premiums and prizes, £490 was given to the builders of oatmeal mills, £422 was spent on seeds, and £72 was voted for books on agriculture. The board, however, made mistakes. The import of seeds was discontinued in 1821 because of their poor quality and late arrival, as was the awarding of prizes for clearing the forest when it was realized that this work was proceeding too fast. There were also disagreements about the selection of breeding stock, and its import was stopped after 1821, as were the cattle shows held in different parts of the province. The most important objective of the Central Board was to make Nova Scotia self-sufficient in wheat. Too much emphasis was placed on this goal and it was never realized, perhaps because it was either premature or unrealistic. From its inception the board had faced difficulties with numerous groups in the colony. Many farmers were unable to resist the pull of tradition. Consequently, they continued to bring land into production instead of working to increase soil productivity through the adoption of new methods of farming. Fishing communities, mainly in the western half of the province, questioned the annual grant to agriculture when their own industry did not receive anything comparable. Merchants were attracted to Young’s articles when they first appeared because they desired an agricultural revival as a means of overcoming the existing economic depression. However, in 1818 legislative changes in Britain permitted the colonies to import American foodstuffs through designated free ports, of which Halifax was one. Nova Scotians no longer had to worry about prohibitions on American produce and hence did not feel the urgent necessity to increase agricultural production at home. Moreover, by 1825 it was evident that the British trend towards freer trade, as shown in the changes in the imperial trade regulations that year, would draw attention away from agriculture and towards trade and commerce. Long before he completed the Agricola letters, Young had shown an interest in politics, and he had seriously considered standing for the assembly in 1820. In 1823 he ran unsuccessfully in Halifax Township. During this campaign, in which he was opposed by Charles Rufus Fairbanks, it was divulged that Young’s son William, who was apprenticed to Fairbanks’s law firm, had communicated the strategy of Fairbanks’s campaign to his father. As a result Young had to use his influence with Chief Justice Sampson Salter Blowers and other judges to obtain William’s release from his indenture. Young entered the political arena again in 1824, this time in a by-election in Sydney County. Although he was victorious, soon after he took his seat on 15 Feb. 1825 petitions were forwarded to the house which contended that he was not a freeholder in the county and complained of election irregularities. An assembly committee declared the election invalid, but Young was returned in the subsequent vote, and he was allowed to take his seat on 1 Feb. 1826 without further difficulty. Nevertheless, his residence in Halifax caused dissatisfaction to many of his constituents, and as early as April 1826 Thomas Cutler of Guysborough warned him of potential trouble over this issue. As an assemblyman Young did not hesitate to express his opinion, and he usually gave a worthwhile exposition. A late 19th-century commentator felt that he sustained his positions with “clear and lucid oratory,” and he would occasionally show a fine sense of humour. On the other hand, his discussions were longer than necessary and he was too insistent on giving the impression that he was standing on principle. One early subject of his attention was Pictou Academy. Although he supported the principle of a grant to the academy and was prepared to see it obtain the same aid as other institutions, he consistently opposed making the grant a permanent one. 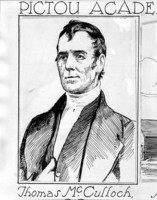 His opposition stemmed from the split between the Church of Scotland, to which he belonged, and the dissenting Presbyterians, one of whom was Pictou Academy’s president, Thomas McCulloch. But he was mindful of the needs of his co-religionists as a whole, and in 1827 he spoke in favour of giving Presbyterian clergy full rights to perform marriages. During the “Brandy Dispute” of 1830 [see Enos Collins*] Young upheld the rights of the assembly in its confrontation with the Council, arguing that his constituents and others would suffer unduly from the loss of tax revenue which the dispute might cause. He was returned in the election of that year, and during the sessions of the fourteenth assembly spoke out often. He was particularly active in scrutinizing expenditures, the more so where patronage might be involved. During the early 1830s the Shubenacadie Canal [see Charles Rufus Fairbanks], the salaries of custom-house officials, quitrents, banks, and currency drew his attention and comments. He also complained that Halifax received a disproportionately large share of the provincial revenue. In 1835 he advised where money could be saved through the abolition of unnecessary positions and spoke of retrenchment, pointing out that good business practices could make good sense in government. Young followed his assembly speeches on retrenchment with 20 letters to the Acadian Recorder under the pseudonym of Joe Warner. In them he stated that the assembly needed members who sought reform and who would carry out the will of the people; his second purpose was to warn the public of the dangers of electing too many lawyers, whom he considered too self-serving to be effective members. He criticized harshly the manner in which public money was spent and stated that the waste of it by the house stemmed in part from the collaboration between certain assemblymen and the Council. 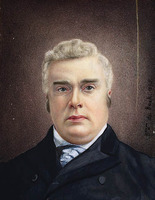 His assault on the speaker of the assembly, Samuel George William Archibald, was especially virulent, since he accused him of using his position to advance his own interests. Some of the differences between the two men undoubtedly arose out of their opposing positions on Pictou Academy. The election of 1836 was a difficult one for Young. His constituency of Sydney County had been divided that year, and he ran in the part which is now Antigonish County. The resentment against his non-residence surfaced once more, and at the end of the second day of polling he was a poor third of three candidates. That evening a delegation of his supporters visited Bishop William Fraser*, the Roman Catholic vicar apostolic of Nova Scotia, who lived in Antigonish, and suggested that he make his views on the election known. The following morning Fraser gave his support to Young, enabling the latter to salvage second place and one of the two seats. The reasons for Fraser’s intervention are difficult to determine. It may be that he supported Young out of personal friendship and his appreciation of Young’s efforts in 1830 to remove disabilities against Roman Catholics. Without Fraser’s help, Young would certainly have lost. When the new assembly convened on 31 Jan. 1837, Young was present. Although not in good health, he participated effectively in debate, opposing a bill to prevent the export of grain and potatoes, proposing a reduction in the salaries of the clerks of the house, and moving the appointment of a joint committee to examine public accounts. The major issue of the session centred on resolutions by the assembly condemning the Council for not allowing the public into its discussions when it acted in a legislative capacity. After the Council refused to consider the matter and implied that the assembly could be disciplined, Young introduced two resolutions designed to avoid a direct confrontation with the upper chamber such as had occurred in 1830. 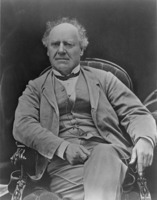 Joseph Howe* thought that Young’s resolutions did not resolve the assembly’s difficulties, and brought in 12 resolutions of his own which were both broader and more specific than Young’s. Young supported the adoption of Howe’s resolutions, but he may have regretted that Howe and not he reaped the glory of the moment. By June 1837 Young’s health had deteriorated to the point where most of his time was spent sitting in bed or an easy chair. He wrote to his son George Renny in August that he had improved, but he passed away at Willow Park on 6 October. John Young in many respects epitomized the well-educated individual who arrived in the colonies and saw opportunities that others had overlooked or lacked the confidence to grasp. In his early advice to his sons he suggested that people were motivated by self-interest; such motivation often seemed to influence his own career in Nova Scotia. However, in reconciling his goals with the public interest he performed useful services for his adopted land. John Young published, under the pseudonym of Agricola, The letters of Agricola on the principles of vegetation and tillage, written for Nova Scotia, and published first in the “Acadian Recorder” by John Young, secretary of the Provincial Agricultural Board . . . (Halifax, 1822). NLS, Dept. of mss, ms 790. PANS, MG 1, 88–89, 554, 793; MG 2, 719–20, 726–32; RG 5, P, 1–3; RG 7, 2–3; RG 8, 1–2. Catalogue of the Provincial Agricultural Library, with the rules and bye laws (Halifax, 1825; copy at PANS). Glimpses of Nova Scotia, 1807–24, as seen through the eyes of two Halifax merchants, a Wilmot clergyman and the clerk of the assembly of Nova Scotia, ed. C. B. Fergusson (Halifax, 1957). T. C. Haliburton, An historical and statistical account of Nova-Scotia (2v., Halifax, 1829; repr. Belleville, Ont., 1973), 2. N.S., House of Assembly, Journal and proc., 1825–37. William Young, “Journal of William Young, 1839,” PANS, Board of Trustees, Report (Halifax), 1973, app.B. Acadian Recorder, 1818–23, 1836. Colonial Patriot, 1827–34. Free Press (Halifax), 1819–20, 1830. Novascotian, or Colonial Herald, 1825–37. Directory of N.S. MLAs. Beck, Government of N.S. Duncan Campbell, Nova Scotia, in its historical, mercantile, and industrial relations (Montreal, 1873). Contributions toward the improvement of agriculture in Nova-Scotia; with practical hints on the management and improvement of live stock . . . , comp. 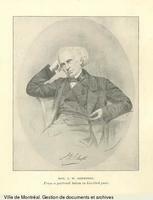 J. W. Dawson (2nd ed., Halifax, 1856). V. C. Fowke, Canadian agricultural policy: the historical pattern (Toronto, 1946; repr. 1978). A. C. Jost, Guysborough sketches and essays (Guysborough, N.S., 1950). Israel Longworth, Life of S. G. W. Archibald (Halifax, 1881). J. L. MacDougall, History of Inverness County, Nova Scotia ([Truro, N.S., 1922]; repr. Belleville, 1976). T. M. Punch, “The Halifax connection, 1749–1848: a century of oligarchy in Nova Scotia” (ma thesis, St Mary’s Univ., Halifax, 1972). Howard Trueman, Early agriculture in the Atlantic provinces (Moncton, N.B., 1907). D. C. Harvey, “Pre-Agricola John Young, or a compact family in search of fortune,” N.S. Hist. Soc., Coll., 32 (1959): 125–59. J. S. Martell, “The achievements of Agricola and the agricultural societies, 1818–25” and “From Central Board to secretary of agriculture, 1826–1885,” PANS Bull. (Halifax), 2 (1939–41), no.2 and no.3. J. L. Martin, “Farm life in western Nova Scotia prior to 1850,” N.S. Hist. Soc., Coll., 37 (1970): 67–84. Gene Morison, “The brandy election of 1830,” N.S. Hist. Soc., Coll., 30 (1954): 151–83. “The Young family,” Journal of Education (Halifax), 4th set., 8 (1937): 230–33. R. A. MacLean, “YOUNG, JOHN (1773-1837),” in Dictionary of Canadian Biography, vol. 7, University of Toronto/Université Laval, 2003–, accessed April 24, 2019, http://www.biographi.ca/en/bio/young_john_1773_1837_7E.html.